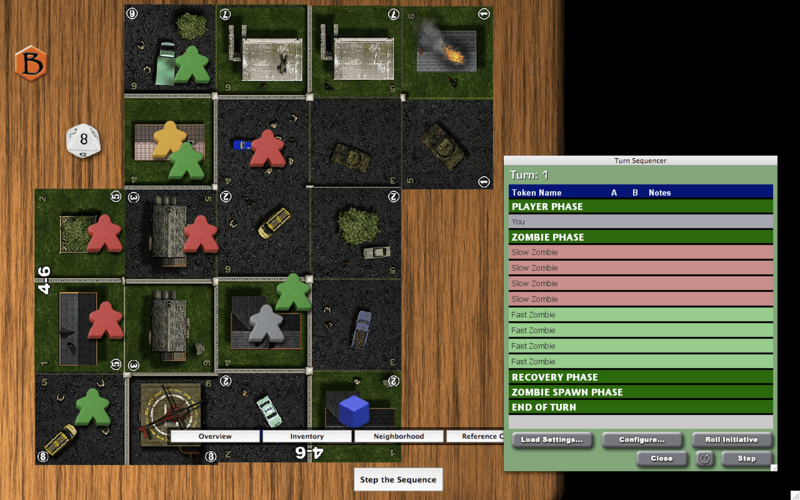 A solitaire card game set in the zombie apocalypse, in which you must rescue your family members scattered throughout your neighborhood and get them to safety (a helicopter) while fighting off zombies. 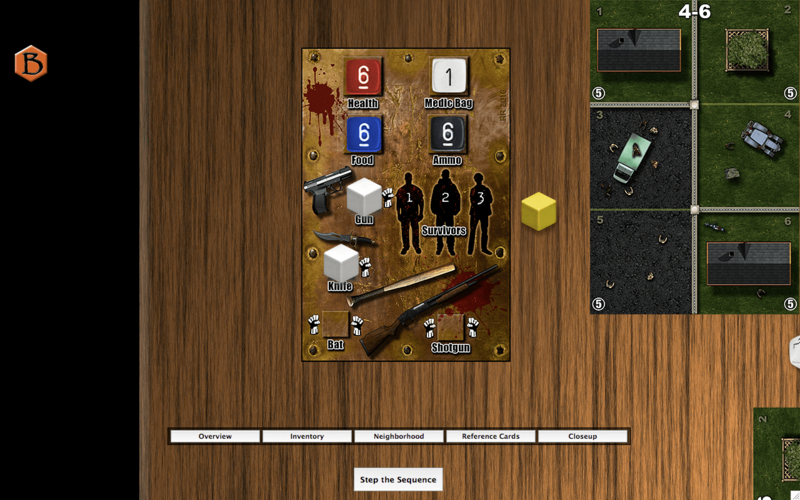 “Zombies in our Neighborhood” is a free, web-published Print-and-Play card game by Joseph Propati released in 2016. For more information on the original game, click here. Here are some screenshots of what the game looks like. Click on the images to view them at full size. 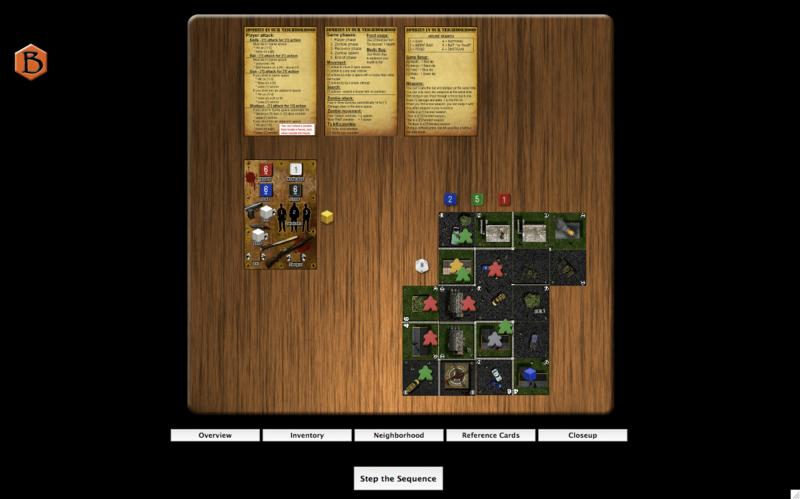 Cubes and dice on the Inventory card are used to keep track of your gear and progress. The above download contains everything needed to play the game if you already have a Gamer Client license (BGE v1.7 or higher). Installation instructions are included in the download.